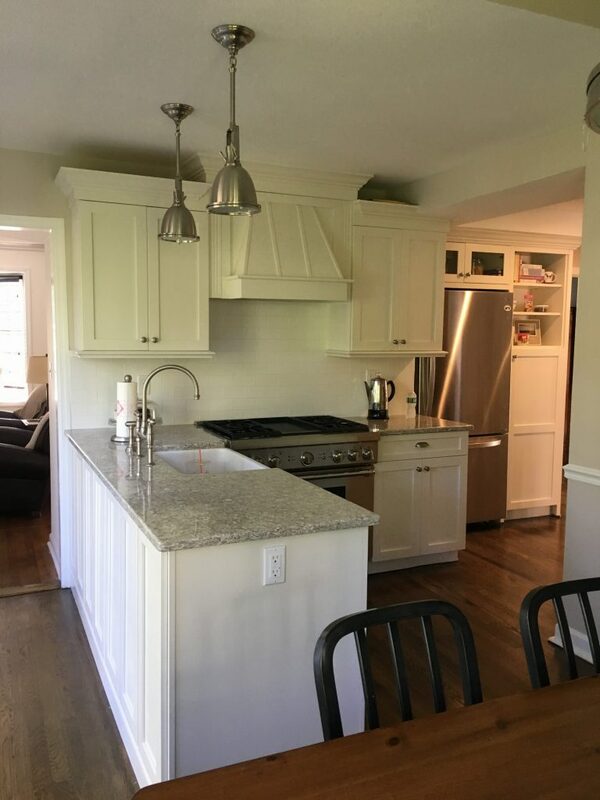 Our team at Monk’s Home Improvements came in and entirely remade this Chatham, NJ home’s kitchen. 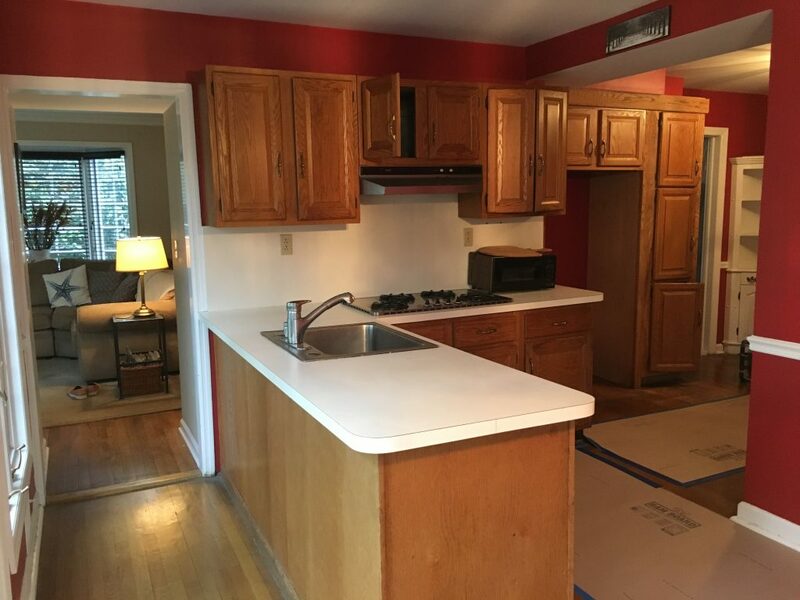 The project began with the existing kitchen being completely gutted. 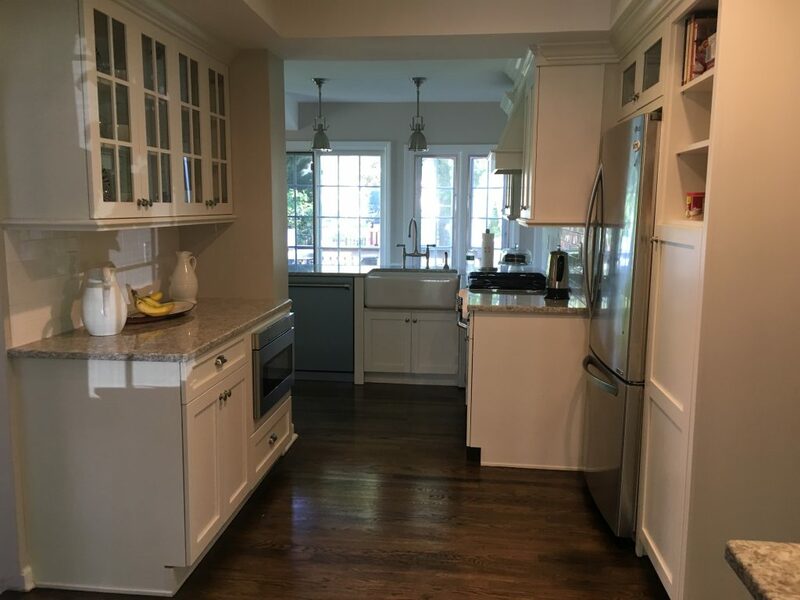 The homeowners wanted to keep the main part of their kitchen’s layout the same; only making a few improved modifications. 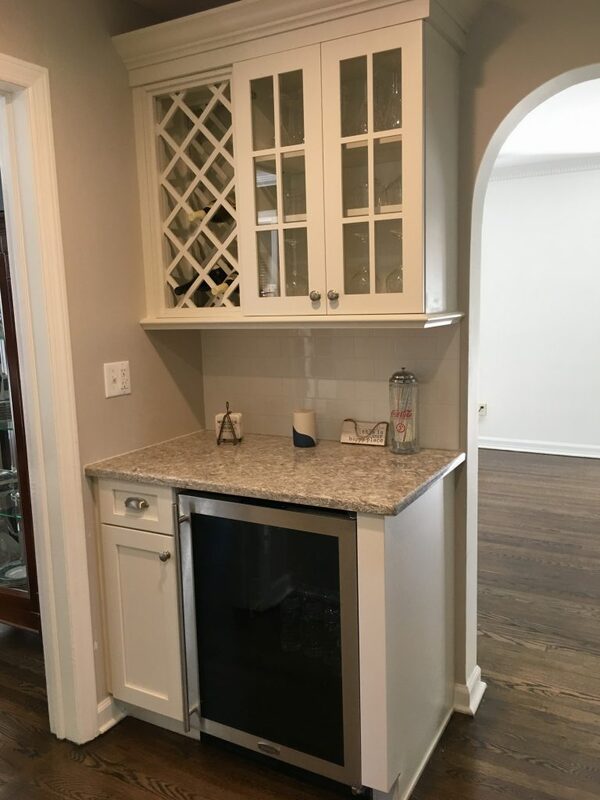 For example, a corner cabinet was removed and replaced instead with a wine bar and wine refrigerator. 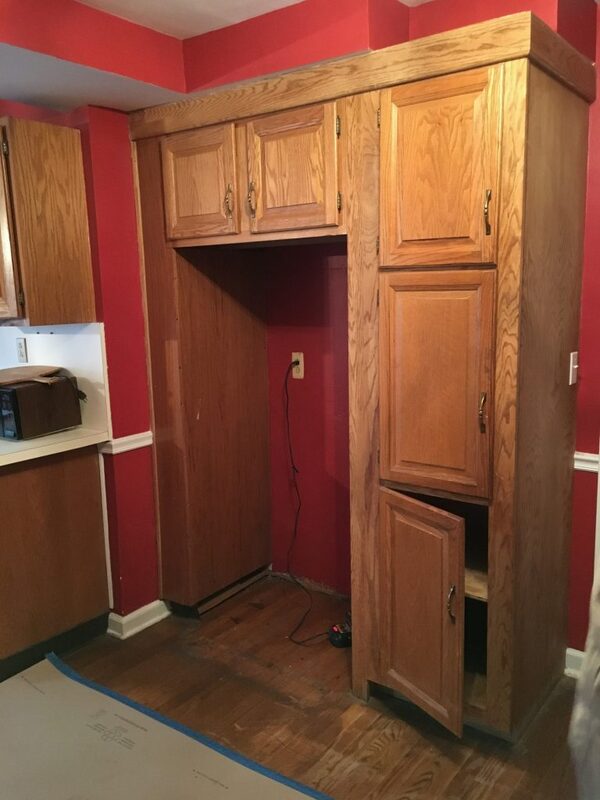 The wall with the double oven was widened slightly and made to incorporate a built-in microwave. 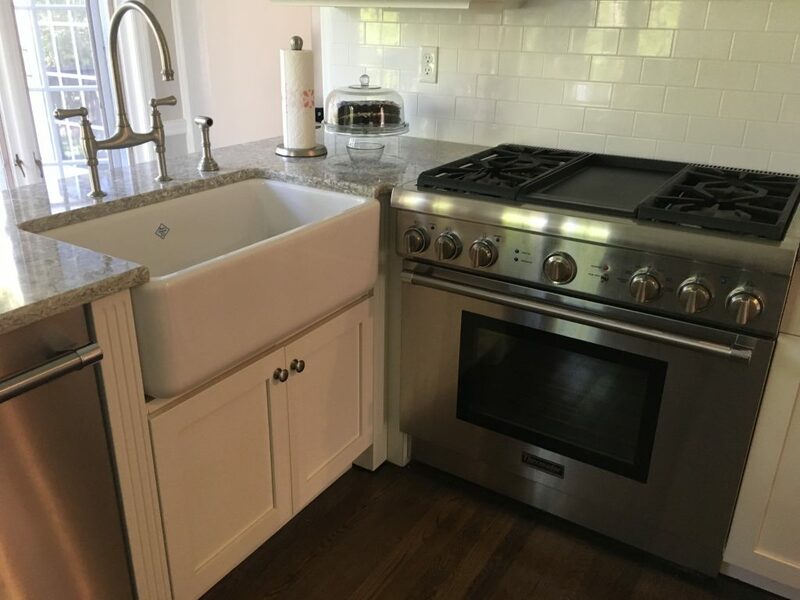 A new farmhouse sink was selected for the new kitchen, as well as a new bridge faucet (selected from a display in the Monk’s showroom). 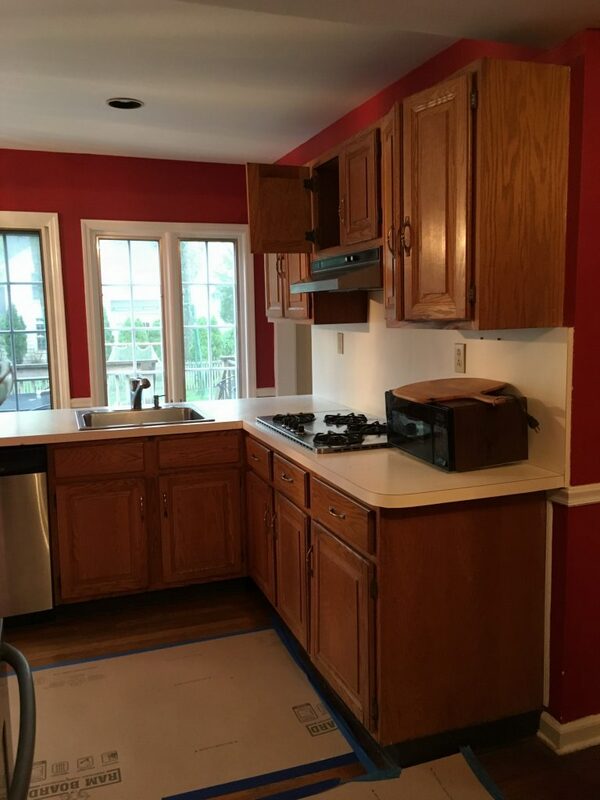 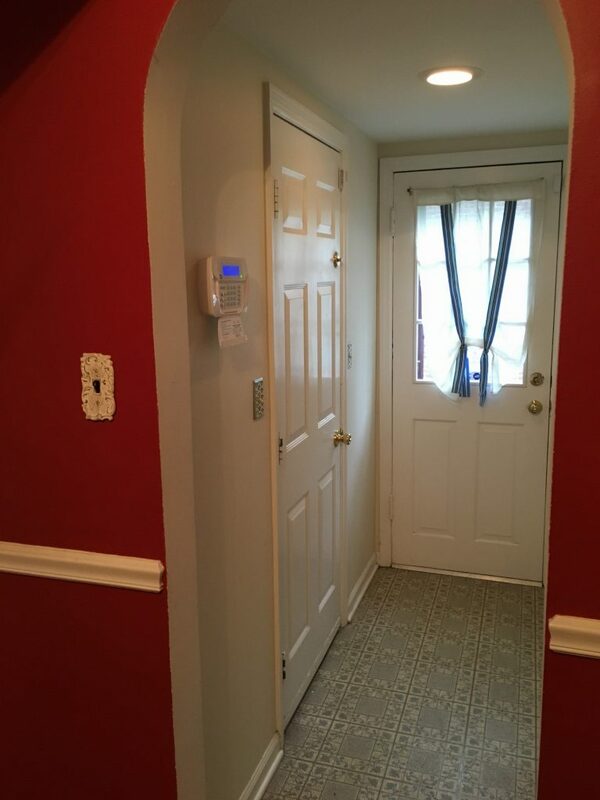 The kitchen’s vibrant red walls were traded in for a simple white, and additionally, white subway tile was installed for a clean, modern look. 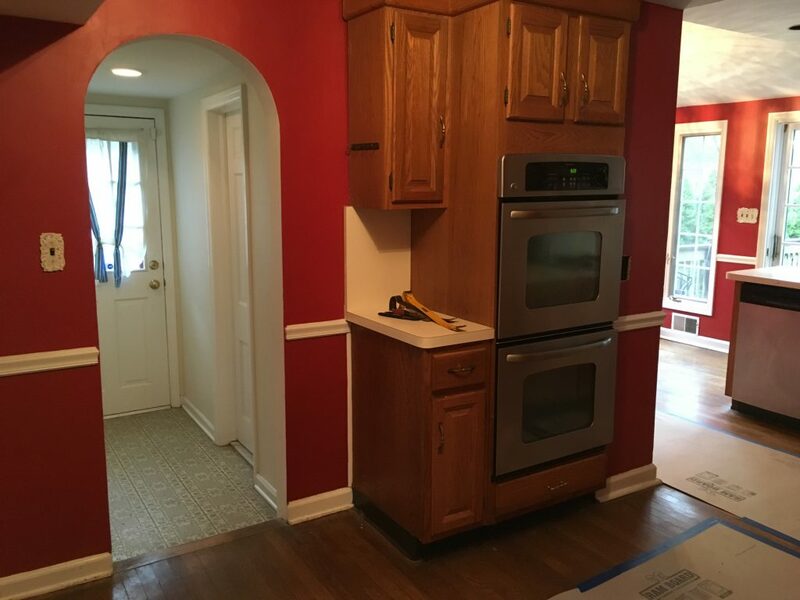 The kitchen’s hardwood floors were also treated to a complete refinishing. 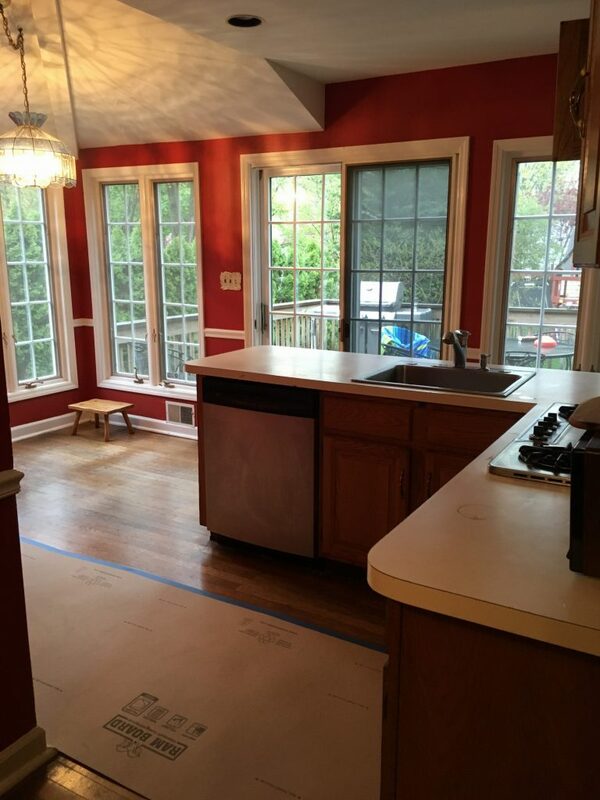 Our team always utilizes an efficient dustless floor refinishing system. 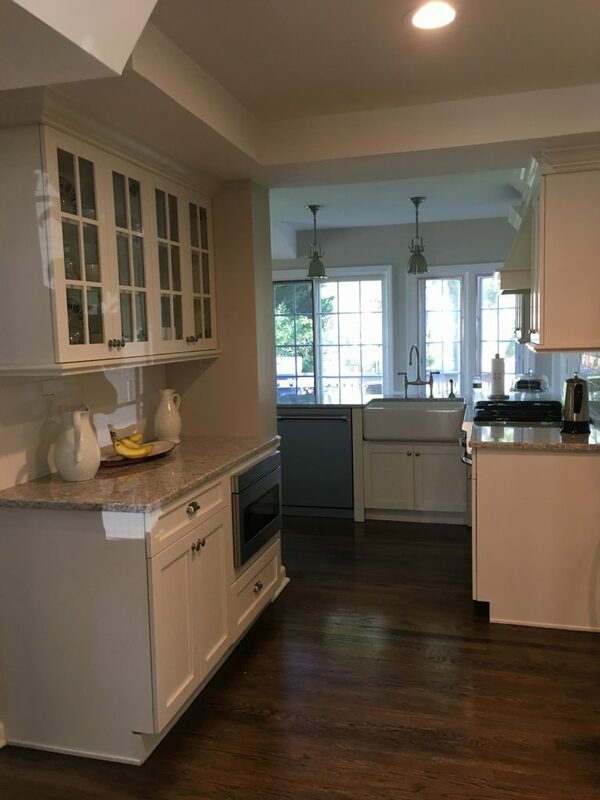 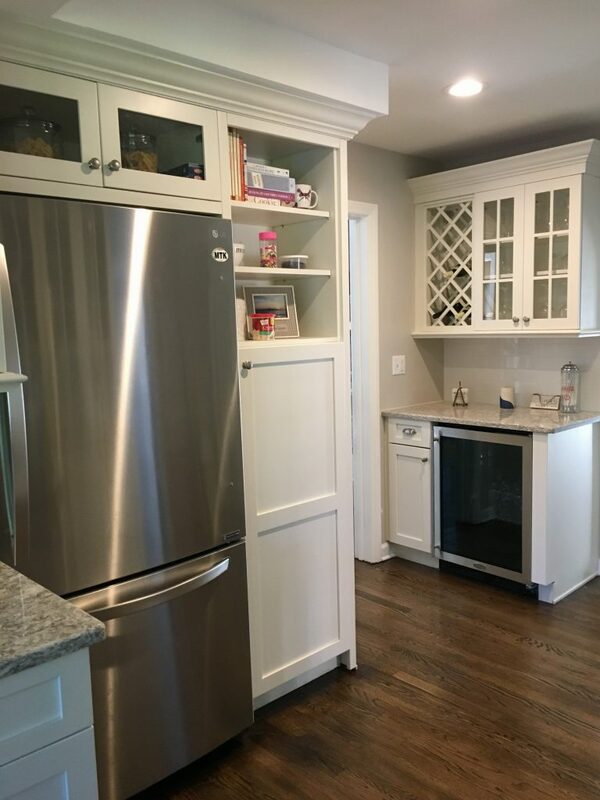 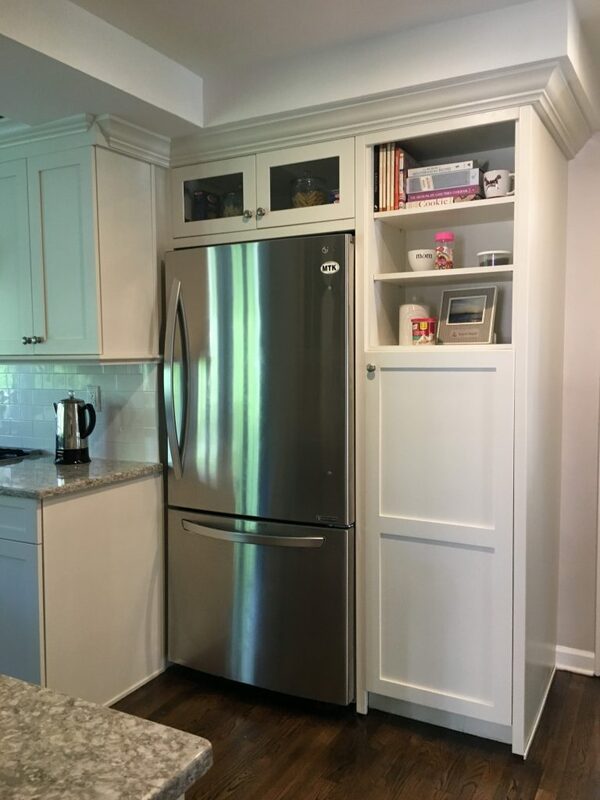 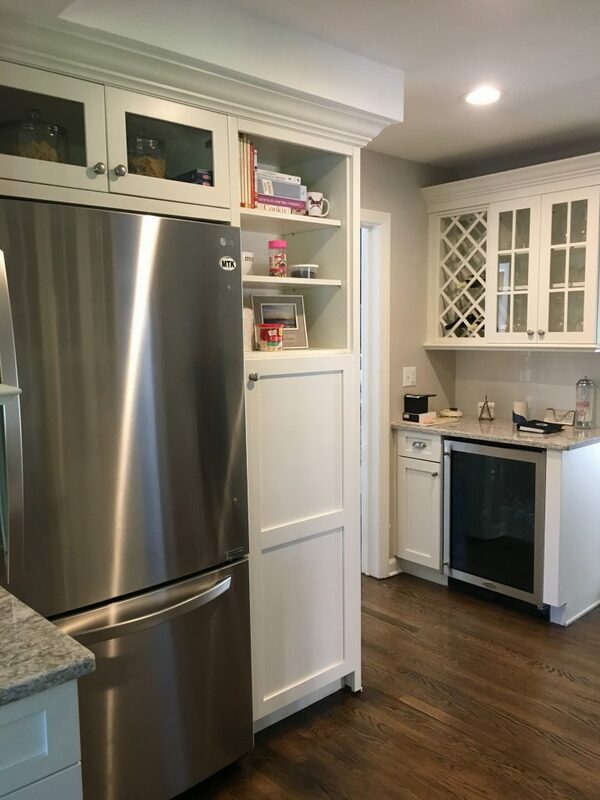 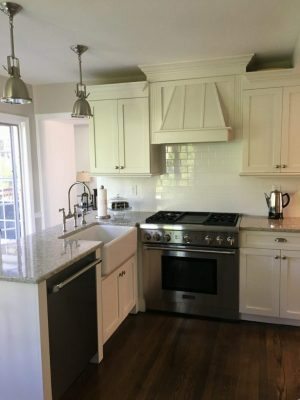 If you are considering a Kitchen Renovation project for your home we would like the opportunity to tell you why we think we are the best Kitchen Renovation contractor in Chatham, NJ 07928.